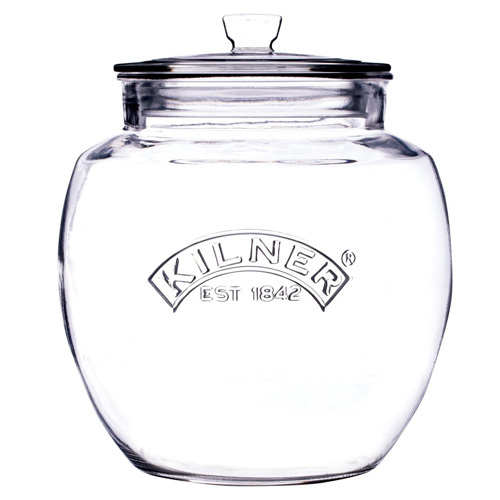 Kilner 1 litre Glass Barrel Dispenser on stand. 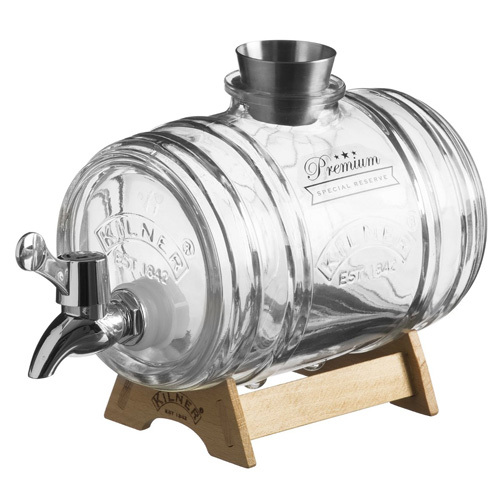 Perfect for storing, displaying and decanting your favourite short tipple. The wooden stand elevates your barrel for an easy pour and the stainless steel stopper doubles up as a measuring jigger. 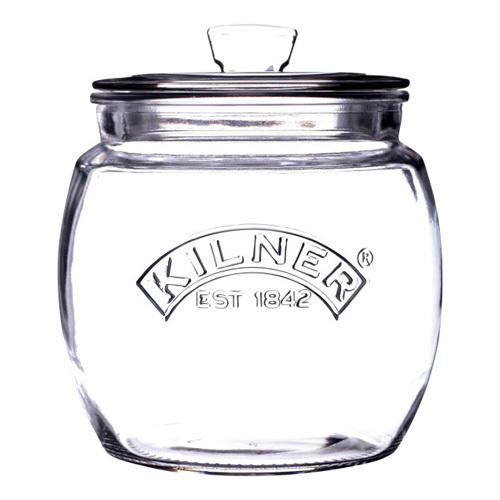 Glass is ideal for storing high quality spirits. 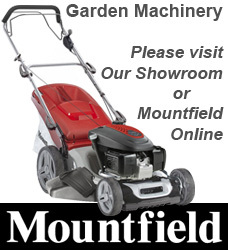 Ideal for all spirits including your homemade wine and flavoured spirits. Date First Available: Wednesday 17 August, 2016.